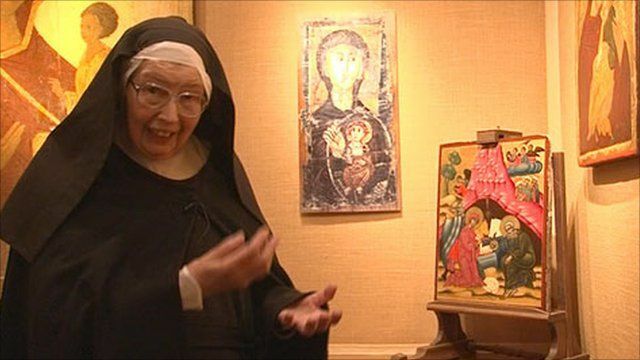 Sister Wendy Beckett, the art critic and nun, explains how the religious paintings known as icons can offer a pathway to the true spirit of Christmas. She discusses two icons on display at the Temple Gallery in west London. The first is an icon by an anonymous artist painted in Greece dating from the early 19th century, the second a Virgin and Child from Russia dated around 1500, again by an anonymous artist. Sister Wendy Beckett explores the history of icons in her most recent book, Real Presence.